Astronomy has had to go back on its word twice in a year now, as a super-Earth previously dismissed as stellar ‘noise’ did after all turn out to be a planet. A new study shows Gliese 581d had been the victim of bad analysis. In 2009, as scientists searched for far-away planets that were in the habitable zone orbiting around their host stars, a spectrometer picked up 581d’s ‘wobble’ – which is a slight change in the wavelength of light caused by a celestial body passing by its star and changing the amount of light the star gives off. 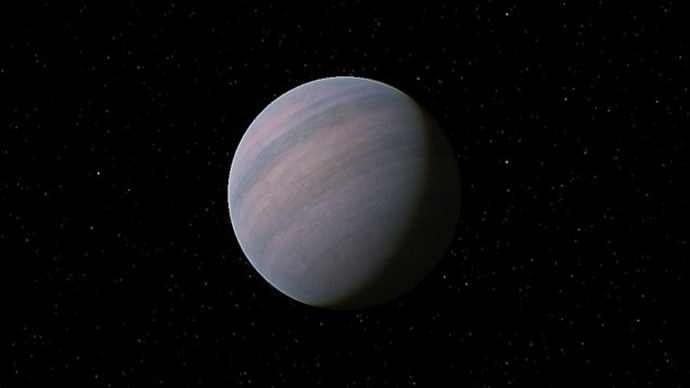 The now-suspected planet and its siblings orbit a red dwarf named Gliese 581. Because the distance is some 20 light years from Earth, any determinations on the nature of things are always subject to heated debate among scientists. Last year’s study dismissed the discovery as "noise", or interference created by the star system itself. Two whole planets that were potentially habitable were dismissed by a study in the journal Science – 581d and 581g, which were discovered at different times orbiting their host star. But a new study published in the same journal wipes the slate clean again and criticizes the previous one as “inappropriate” and “promoting inadequate tools.” Revisiting the ‘flawed’ data dismissed by Pennsylvania State University, a team from Queen Mary University of London (QMUL) and University of Hertfordshire proved that just a minor tweak to the technique makes a difference. Previous methods could account for only larger celestial bodies, where calculations did not have to be as painstaking and smaller errors went unnoticed, because of the very obvious effect of the planet on the star’s light. That is according to Dr Guillem Anglada-Escudé, who authored the new paper. "The existence, or not, of GJ 581d [Gliese 581d] is significant because it was the first Earth-like planet discovered in the 'Goldilocks'-zone around another star and it is a benchmark case for the Doppler technique,” he said of the method used to detect spectral shifts in the wavelength of a star’s light. "There are always discussions among scientists about the ways we interpret data but I'm confident that GJ 581d has been in orbit around Gliese 581 all along. In any case, the strength of their statement was way too strong. If their way to treat the data had been right, then some planet search projects at several ground-based observatories would need to be significantly revised as they are all aiming to detect even smaller planets. One needs to be more careful with these kind of claims." As part of their advice in the new paper, Anglada-Escudé and team recommend a re-evaluation of the standard methods for detecting exo-planets.